Henry Sotheran Ltd: Dry January? The finish line is in sight! Just ten days to go for all those who have vowed to stay off the booze this month, with the shop currently stacked to the rafters with food and wine books we can barely think about anything else! Today's highlights are in keeping with the oenological theme that appears to have taken over. 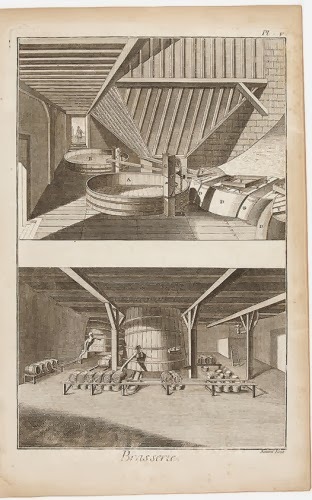 These beautiful and informative plates from Diderot & D'Alembert's Encyclopédie offer a fascinating insight into alcohol production during the 18th century. These seven plates begin with a demonstration of the planting requirements and correct pruning techniques for a vineyard. Several different types of press, large and small, follow, including two pages dedicated to the cider press. 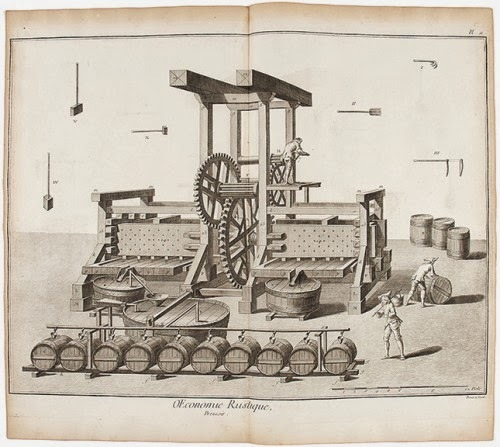 Accompanying the plates are several articles from the text body of the Encyclopédie, one of which, contributed by Diderot himself, deals with the various processes involved in the production of cider. These plates display the ovens, vats and equipment of an eighteenth-century brewhouse, including a horse-powered mill. Diderot's paper on La Brasserie, accompanying these plates, describes the workings of the building and the processes carried out therein. 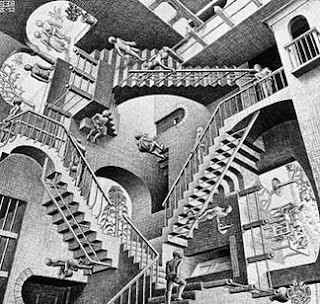 Other articles which follow are Aile, Bierre, Houblon, Malt, Tarasun, Touraille, the kiln in which the hops are dried, and Levure or yeast.